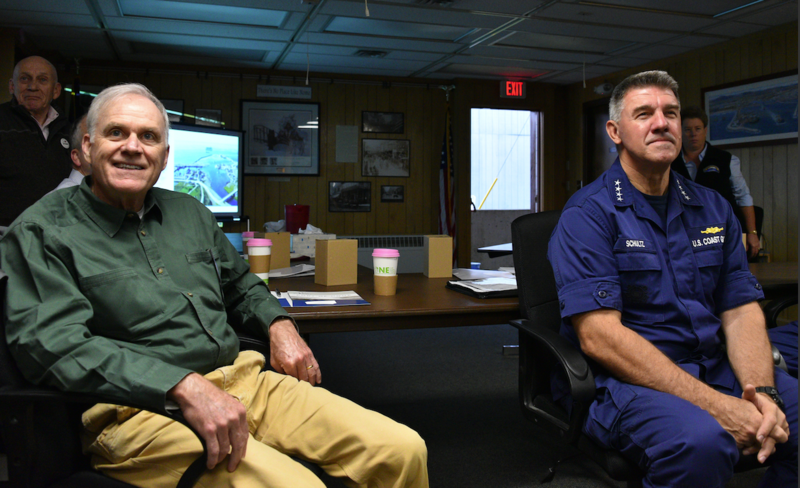 WASHINGTON, D.C. – U.S. Coast Guard Commandant Adm. Karl Schultz is guardedly optimistic his service will get funding for a new Polar Security Cutter in time to start construction in 2019. The Coast Guard – though considered one of the nation’s five armed services – falls under the Department of Homeland Security (DHS), and Congress has not yet approved the Fiscal Year 2019 DHS spending plan. As Schultz spoke Thursday at the National Press Club and unveiled the Coast Guard’s 2018-2022 strategic plan, Congress passed a short-term continuing resolution that covers the parts of the government not already funded in an earlier appropriations bill. The Department of Defense is included in this previously approved legislation. If signed by President Donald Trump, the continuing resolution would continue to fund DHS at FY 2018 levels until a longer-term deal is approved. Part of the problem, Schultz explained, is the House and Senate bills are different – one fully funds the Polar Security Cutter, one provides no money for the program. 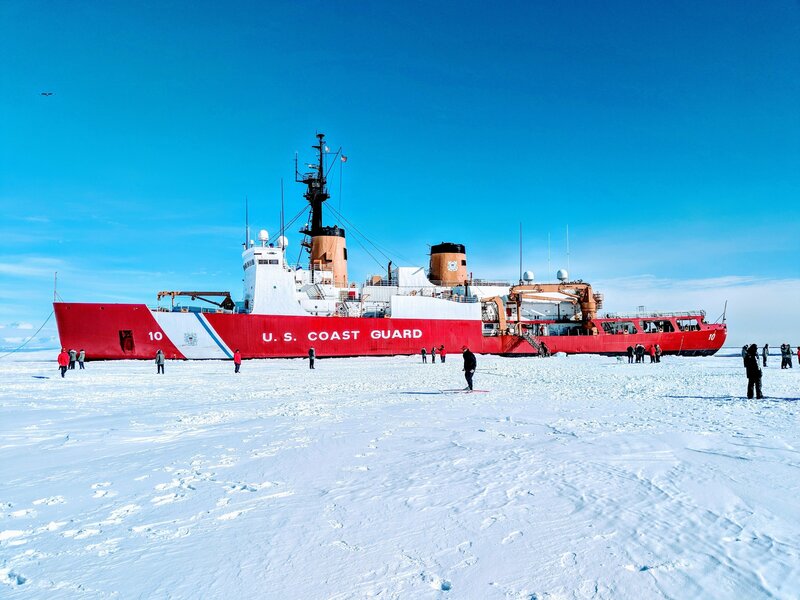 Any long-term delay in approving FY 2019 spending could drive up the icebreaker’s cost and endanger the Coast Guard’s ability to patrol the polar regions. The Coast Guard proposes to build a fleet of six polar icebreakers: three heavy icebreakers and three medium icebreakers. Currently, the Coast Guard only operates one of each. “Both of our near-peer competitors, China and Russia, are expanding their icebreaker fleets, as well as their base of access and influence in the region,” Schultz said. When built, Schultz said an interesting feature of the new icebreaker would be the propulsion system. The Coast Guard’s previous icebreakers used a standard straight shaft system. The new Polar Security Cutters will use what’s called an Azipod, which can rotate 360 degrees. Canadian and Finnish icebreakers use the technology, and Schultz said it’s the future of icebreaking. The Azipod system is reportedly easier to steer when a ship is going astern, which is often part of the icebreaking process, according to Swiss-firm ABB which makes the Azipod. Earlier in the day, at Secretary of the Navy Richard V. Spencer said that having a presence in the Arctic is critical. Spencer was speaking at an event cohosted by the U.S. Naval Institute and the Center for Strategic and International Studies. Ice in the Arctic is retreating, opening up new shipping lanes to deliver commerce, Schultz said. Technology is allowing for exploration and possible extraction of the region’s estimated oil, natural gas and mineral reserves deep below the ocean’s surface. “The Arctic isn’t emerging anymore; the Arctic is a reality,” Schultz said.